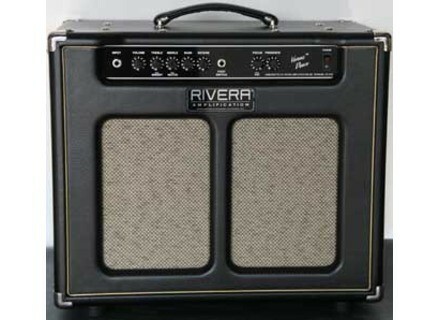 Venus Deux, Tube Combo Guitar Amp from Rivera. Rivera announces that they will release a very limited edition of its Venus Deux guitar combo with a special 10” speaker. The standard edition of the Venus Deux is equipped with a 12” custom speaker, but Rivera will manufacture 10 models that will host an original 10” NOS ElectroVoice (EVM) speaker. 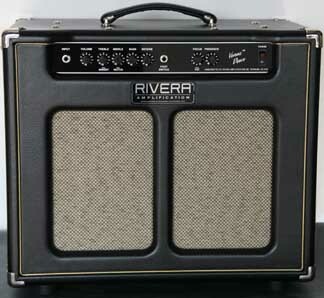 The Rivera Venus Deux is a 25W guitar combo that employs a pair of 6V6 tubes. It includes a footswitchable Accutronics 3-spring reverb, an effect loop, two speaker outputs and multiple controls that will allow you to vary the sound and get Tweed or Blackface tones for instance. The price of this standard version is $1,499. The limited edition will ship late March, 2015, no information about its price. Contact the manufacturer at www.rivera.com for further info. 2 limited editions of the Cali76 Origin Effects has launched two special editions of its Cali76 compressor pedal with NOS Germanium transistors limited to 100 units each. Fulltone reworks the Echoplex EP-3 Last year, Fulltone relaunched the Tube Tape Echo ; one year later, he introduces a solid-state version inspired by the Echoplex EP-3. A new Ibanez Paul Gilbert guitar Paul Gilbert is a long-time Ibanez endorser and the team introduces in 2015 a new signature electric guitar, the FRM150.